Will the PlayStation 5 Have a Camera? Sony has been trying to make the camera a must-have accessory for three generations now – will that trend continue with the PlayStation 5? First introduced with the PlayStation 2 under the EyeToy moniker, the camera was a novelty at best, a waste of space at worst. Used with only a handful of games, the EyeToy was mostly a proof of concept, as it was rare to see any sort of webcam technology outside of the computer. Naturally, it crashed and burned, though it can be said the EyeToy was before its time. Luckily, Sony saw promise in the device and didn’t give up just yet. The PlayStation Eye, released for the PlayStation 3, improved on the EyeToy but it still wasn’t enough to make the camera any sort of must-have accessory. The games that supported it were weak, and Sony’s competitors, most notably Microsoft with the Kinect, were doing much grander things. The camera’s functionality expanded, allowing for video chat among friends, but the PlayStation Eye ended up being another forgotten relic, finding itself in clearance bins across the country. Luckily for Sony, a lot changed during the lifespan of the PlayStation 3, notably the advent of Twitch and Let’s Plays near the end of the PS3 era. Suddenly, everyone was streaming not only video games but themselves as well, as personalities like PewDiePie burst onto the scene. The person playing the game was almost as important as the games themselves, and any sort of camera became a must-have purchase for both established streamers and those who wanted to get in on the action. When the PlayStation 4 released, the camera saw a name overhaul, becoming the PlayStation Camera. The device was so popular that it sold out during the launch, commanding large sums of money on eBay. Why was the camera, which was a dud during the previous two generations, suddenly so sought after at the PS4 launch? Because of the system’s integration with Twitch, letting players stream content directly from the PS4. Suddenly, the camera wasn’t just an accessory, it was a necessity, especially for gamers who are making their living streaming, and those gamers who want to start streaming. With the release of the SHAREfactory app on the PS4, suddenly users could create their own prerecorded Let’s Play videos, taking the camera’s functionality up to the next level. Once the dust settled though, what else could this camera really do? Well, beyond the free augmented reality game “The Playroom” and some voice control features, there wasn’t much for you to do with the thing. Currently, the camera hasn’t seen overwhelming support from any games, but it is still used as a means of streaming commentary during play sessions online. Despite this, the PlayStation Camera is poised to make a comeback. 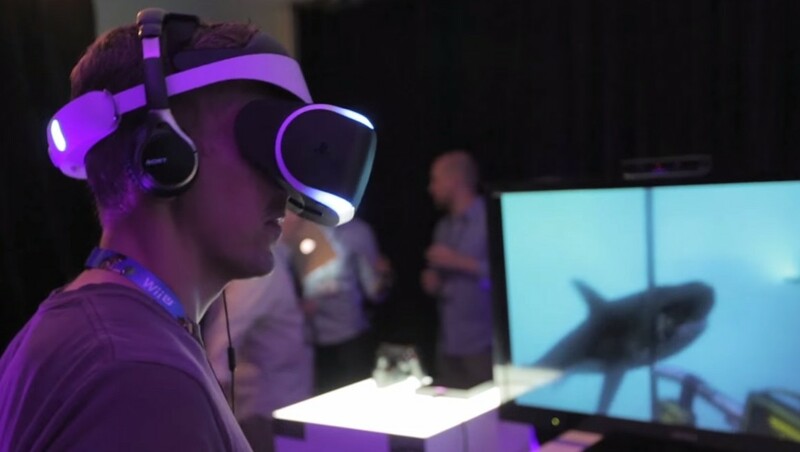 Sony announced a virtual reality headset for the PS4 called Project Morpheus which has reinvigorated the need for the PlayStation Camera if only by necessity. This headset features and OLED display with a 1080p resolution and a 120hz refresh rate. It tacks the movement of the players head and where you’re looking by using the PlayStation Camera to watch the player while they are in the game. This is a similar approach to the PlayStation Move which used the PS3 Eye Camera to track the motion of the glowing balls on the Move controllers. By utilizing the PlayStation Camera as a means of tracking the movement of a player’s head, you can essentially look around and see the game’s world move with you, the same thing that happens when you move the right analog stick on a controller. It’s hard to imagine the current trends when the PlayStation 5 comes out may years from now, but it’s safe to say that online streaming isn’t going anywhere. It’s Let’s Play culture taken to the next level, creating a level of interactivity that you can’t get with prerecorded gameplay. It’s likely that the PlayStation 5 will focus on an even deeper on integration with Twitch and some of the other streaming services, and we might even see the PlayStation Camera get upgraded to a pack-in rather than a separate purchase. Could we see any enhancements to the camera in the next generation? It’s likely. It’s hard to imagine what they could add to the PlayStation Camera outside of increasing its technical prowess; right now, the camera already has facial recognition, HD quality recording, player tracking and 3D depth sensing. It’s a given that technology will improve by the launch of the PS5 and the camera will have the latest and greatest technology available to it. As camera becomes inherently more powerful and capable, we can expect the next PS5 Camera to be something truly spectacular. Imagine a horror game for example that can look at you through a camera and tell exactly how afraid you are based on your body language and heart rate. We’re already at the point where something like this is possible, we just need that kind of mainstream technology in the hands of gamers and game developers to make it happen. Imagine having conversations with game characters who react to you based on your actual face. The camera will be able to determine if you’re angry, happy, sad, or anything in between and that information could be translated back into the game to enhance the conversation you’re having. So many things can be understood by simply looking through a camera. Imagine games that are smart enough to see those tiny nuances and react to them. Where the camera was mostly an afterthought in previous generations, expect to see the camera at the forefront of the PlayStation 5 as Sony looks to appeal to a rapidly growing subculture of gaming – that will be the key difference. The camera will suddenly be as important to gamers as a DualShock. It’s interesting to think that in the span of ten years, the camera went from being a flop to selling out in stores. In the span of another ten years, it’s likely we’ll see the camera included with every PS5, becoming not only a must-have accessory but an integral part of the device full stop. Streaming and recording gameplay will only continue to increase in popularity, making the camera an essential part of the PS5.